Back in the days when, for me, even the opposite end of town seemed a distant place, I had to go on a trip along with my perky classmates in Northern Moldavia. At that time I perceived my being away from home even in terms of feelings ; not only the fact that I had to leave the street on which I was living, but also the fact that I was going to visit a place… up high. A citadel discovered in Romanian language and Romanian history textbooks, a legendary place sealed between the pages of a book. I was little, and the ruins big and I was wandering about, driven by curiosity. 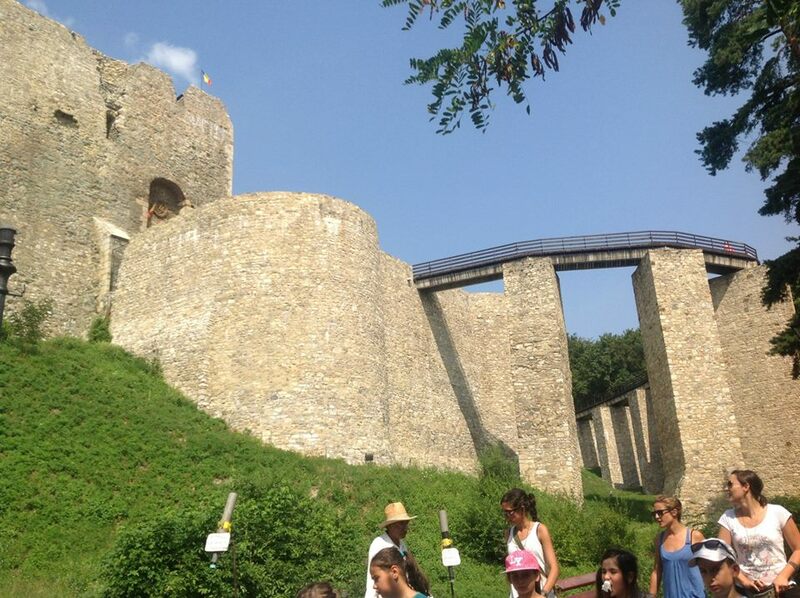 This was the picture of the famous fortress of Neamt, which was unfolding before our eyes a few years ago. Built in the late XIVth century in Moldavia, this fortress belonged to the system of fortifications which was meant to defend the country against the Ottomans. Having high stone walls, deep trenches, narrow windows, the citadel was visibly designed for defense. Only that, during my childhood, there were almost no traces of magnificence in the ruins, which were lying burdened by years and battles. Founded by Peter I and fortified in the XVth century by Stephen the Great, the fortress was condemned to ruination, from the order of the ruler Mihai Racovita, given in 1718. This fortress was ruined not only by nature and the passage of time, but also by the nearby residents who took advantage of the fortress’s degraded state and who collected even the stones found in the debris to build houses and cellars. What was left of it made possible the inclusion of this citadel in 2004 in the list of historical monuments in the County of Neamt. The acknowledging of this fortress as a historical monument was the result of the Romanian poets who deplored the ruins in lyrics, and of the protective measures taken by the ruler Mihai Sturdza, both succeeding to save the fortress from an irremediable obliteration. Between 2007 and 2009, Neamt Citadel was modernized by the authorities, regaining its former stately air. So, I visited it once again, ready to admire and to observe the auspicious changes. Apart from the unmistakable settlement on Plesuv Hill and the thin bridge which made the connection with the outside, going over the deep ditch, what my eyes had seen when I was a child did not reach the majesty of what was now rising before me, bathed in historical beauty. What was depicted in the history textbooks reflected a current truth. Imposing walls can be admired from the exterior, imposing and so high that it makes you dizzy watching them! Towers cut by the serene sky make you stand beside them with a twisted neck, thinking you may lay on the grass contemplating them instead of going on walking. But we managed to leave behind the welcoming scenery and got inside the citadel. It seemed like we walked in a time capsule, where the medieval air hangs from the walls, embracing them. When you see tourists like yourself wandering around, you feel like pulling them from the sleeve and scold them for daring enter a setting they not belong to. Then, you take a look at your own shorts and sneakers, and you feel like kicking yourself out as well, and propping your eyes on a selfie stick, so that only them enter such a solemn frame, that your outfit seems to disrespect. ‘Cause you know from books about the brave Stephan and for sure you would not want to wake his rage. But grasping better the sense of reality, you move forward into the fortress, keep convincing yourself that Stephan is long gone and only his harmless memory dwells today among these walls. So you discover ancient beautifully and authentically decorated, which capture ancient events and moments characteristic to old times. You lose yourself in the memories, wishing you were an inhabitant of the citadel at least for a while, for the food if a lot and is delicious and it abounds in the pantries. Or is it plastic what that cheese is made of, huh? 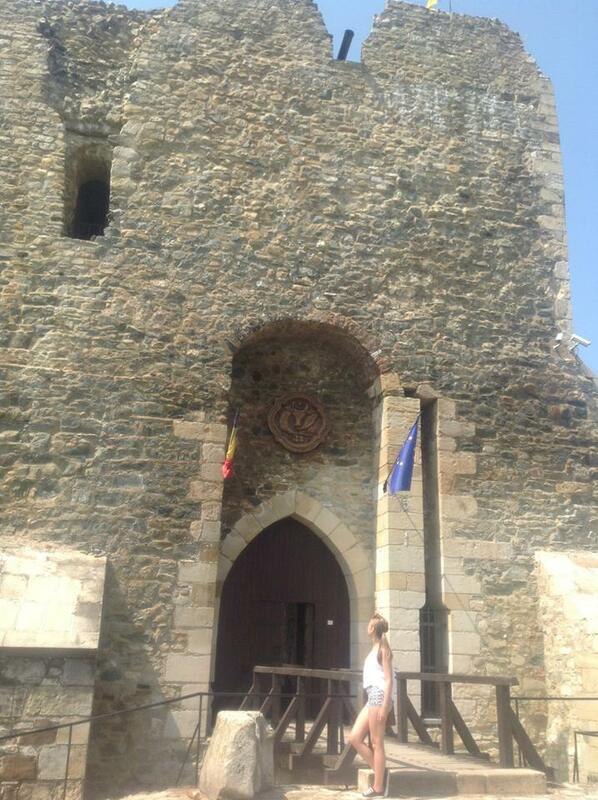 Neamt Citadel is a Moldavian treasure and a symbol of national identity. You see it there and you feel Romanian. And you feel proud of it.